As a logo designer I look at and analyse logos all around me. The reasoning behind decisions, the aesthetics, the ability to stand out, be memorable, convey a message, or a feeling, all fascinate me, and are an integral part of my work as a designer. There are many aspects to a brand, as an outsider, I can’t possibly have knowledge of. I am also well aware we designers believe the importance of design to be too high sometimes. True of all specialists. I am aware I can be wrong. Something I don’t like, I think the public, or a business’s potential customers/partners wouldn’t like, turns out to be very successful. However my instincts are generally very good in this area. Below are five bad logo designs I meet regularly, and an old ‘favourite’. Whenever I see the BP logo, I think ‘Adobe Illustrator tutorial’ and it sets off my hay fever. Visually unattractive, jarring colours, and overly detailed. You can read BP’s explanation here. In addition, the lower case minimalist lettering doesn’t work. The typography carries no authority, and brings nothing to the design. Looks suspiciously like Minion Pro. Which is the the default font on Adobe Illustrator. Web design has also given logo designers issues regarding the shape and amount of detail that a logo can carry. The logo area of a website is a very tight space, with a landscape composition. A quick look at the top left of BPs website shows the drawback of a logo as high as it is wide. It is just a very bad logo design. Number 2. 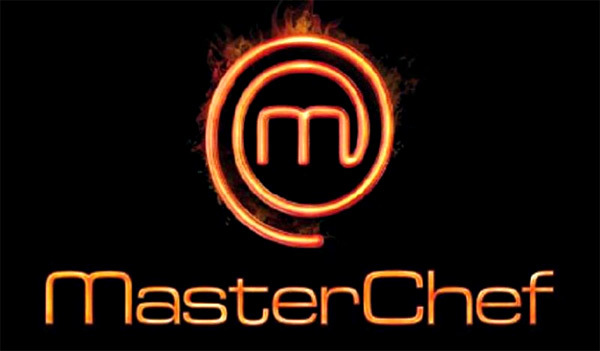 Masterchef. British world-wide franchised TV programme. It’s aesthetically pleasing, it’s one of the world’s most successful cooking programmes. However chefs do not cook with electric hobbs, they cook with gas. Which you will also see used on Masterchef. A nice design, a nice idea, but should not have gotten past the sketch version. You can read about the design here. STV are Scotland’s commercial television channel, a part of ITV (who’s logo is exquisite). A combination of a play button and a section of the Scottish flag (St Andrews Cross). The curves of the lettering, fighting the sharpness of the angles of the play button triangle make an unappealing design lacking in harmony. The closeness of the end part of the ´v` to the edge of the play button/flag is jarring. Surprising it hasn’t been angled to match the angle of the background, or to feed out of the button the same way as the ‘t’ feeds in. All the distances between elements appear random, which again adds to the lack of harmony. As Taggart would say, ´It’s murrrder!`(STV make/made Taggart). I originally wrote this in 2014, and taking a look in 2018 to see if any were updated, and indeed STV’s is. There is a very good article here looking at design trends in logo design, and as it points out, during the preceding years there was a trend for simplification and flat design. STV however, have made theirs more complicated. Although presumably the curve of the additional light blue area, is to soften the sharpness of the play button, and mirror the curves of the typography. One of the reasons for not changing a logo can be expense. Not the design itself, but the implementation. So it’s odd here to have made a change, but not gone for a complete overhaul. The play button is also unnecessary. Yes we are in an on demand, online world. But there were play buttons on Betamax video recorders in 1979. There is also an inbuilt cross in the centre of the logo (on the ‘t’). Ripe for animation. Number 4. Sonofon Danish telephone company. Insipid colour, meaningless ugly shape, and the 3D effect is at best ‘a bad choice’. In an update from 2014, they are now Telenor, and changed the name, kept the symbol, and the 3D effect. Still makes my eyes bleed. Another one that just doesn’t work. From it saying G Gazprom to the gas G symbol being exceptionally weak. It’s all over Champions League football now as a huge brand. A gigantic clunk goes off in my head whenever I see it. And the 2018 update, no change. For old time’s sake, The London Olympics logo. There was only to be five in the list, but this one still makes me angry. Unforgivable. The terrible font, colours, shape, even the trademark symbol in ghastly italics. Is the font comic sans italic sharp? 2018 update. The few within the design industry that defended this, said it was the future, and ahead of it’s time. Low and behold we are now in the future, and it is every bit as terrible, as disgraceful, as shameful, as it was, the day it was unveiled. How did they get away with it? So if you want to rip my designs to pieces be my guest! My graphic design page. My web design page. The illustration one.